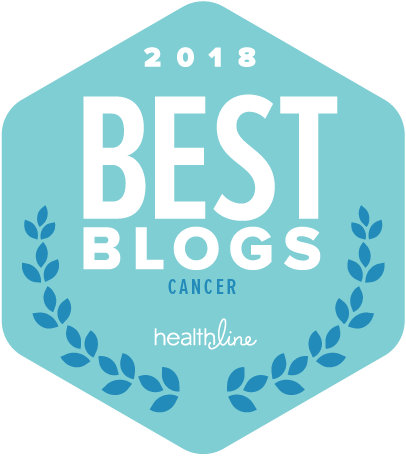 However, the focus of this blog is cancer research in particular, and this post is the fourth in a series in which we’re taking a look at high quality charities that support cancer research as their main focus. In this post, we’ll review the Cancer Research Institute, including its mission and approach, history, notable financial facts and results reporting. Immunotherapy is one of the hottest areas of cancer research right now, and some say that immunotherapy is likely to become a fourth “pillar” in cancer treatment along with surgery, chemotherapy and radiation. Given that, I was interested to learn that the Cancer Research Institute has been working to develop effective immune system treatments for cancer for over 50 years. CRI carries out this mission by funding basic science, translational and clinical research studies in cancer immunology at leading academic institutions in the United States and globally. The organization also works to bring researchers together to facilitate sharing of ideas and foster more rapid progress in the field. It conducts conferences about advances in immunology for the scientific, medical and patient communities, and provides information and resources about immune system therapies to patients and caregivers. CRI was founded in 1953 by Helen Coley Nauts and Oliver R. Grace. Nauts was the daughter of Dr. William B. Coley, a physician who practiced in New York from 1890 to 1936. Dr. Cooley, who became known as “the father of cancer immunotherapy,” developed a treatment based on stimulating an immune response using bacteria. After her father’s death in 1938, Nauts devoted much of her time to going through his papers and research findings, and distilling the information so it could be used in future research. She founded CRI to help ensure that her father’s work in the promising field of cancer immunology would be carried forward and built upon. She was active in the management of the organization until her death in 2001 at the age of 93. From its early days, CRI placed special emphasis on funding early career scientists in the field of immunology. Over the years, as it has grown and merged with other similar organizations, it has broadened its activities to include funding cancer immunology researchers at all career levels and investing in all stages of research from basic science to clinical trials. For CRI’s most recently reported fiscal year (which ended June 30, 2016), 87% of total expenses were spent on its programs and services, 4% went to administrative expenses and 9% were allocated to fundraising. CRI’s major program areas are its clinical accelerator program (which funds clinical trials that involve partnerships between academia and industry), its postdoctoral fellowship program (which supports promising young scientists) and its clinic and laboratory integration program (which supports translational laboratory studies to address specific scientific questions that arise in the clinic). Overall, research represents more than 80% of what the organization spends on its programs. CRI reports that it awarded $25 million in research grants in 2016. CRI received a total of $42 million in public support and revenue for the fiscal year that ended June 30, 2016. CRI researchers established checkpoint blockade as a powerful new approach to cancer immunotherapy, which paved the way for FDA approval in 2011 of Yervoy (ipilimumab), the first treatment shown to extend the lives of patients with advanced melanoma. CRI scientists helped discover the PD-1 receptor pathway and establish it as an immune checkpoint that could be targeted using immunotherapy. This led to FDA approval of the immune checkpoint inhibitors Keytruda (pembrolizumab) and Opdivo (nivolumab). Chimeric antigen receptor (CAR) technology, a form of adoptive T-cell therapy, was made possible by decades of research by CRI scientists. CAR T-cell therapy is now being tested in several types of cancer. The organization’s website provides information on clinical trials that it is supporting, which currently include a number of treatment regimens in which cancer immunotherapies are combined with each other or with other treatments to broaden their effectiveness. A funding directory on the organizations’s website identifies the researchers who have received funding from CRI and describes the cancer immunology research projects they’re working on with that funding. CRI’s website provides a variety of information and resources on cancer immunotherapy for patients and caregivers. Included are a “clinical trial finder” and a toll-free phone number for assistance in finding a clinical trial. CRI frequently hosts conferences and webinars covering such topics as developments in immunotherapy for many cancer types, clinical trials and patient experiences with immunotherapy. Included are 1-day “patient summits” that will be held in Chicago, New York, Houston and Tampa later this year. « A Role for Progesterone in Breast Cancer Treatment? Thank you for highlighting Cancer Research Institute in this post. I knew nothing about them really. Sometimes it’s difficult to know what organization to donate to. I like to focus my donations on those who truly focus on research. Sounds like this one does exactly that. I actually was not familiar with CRI and its work either until I started researching this post, so this one was especially interesting to do. Thanks for reading and commenting!